If you require larger sizes, then please do not hesitate to contact us, as we would be more than happy to help make this for you. As with all our designs, why not add your own iron on letters or numbers to make your own design really pop out. We have a lovely range of fonts, which can be ordered in small 2cm high letters all the way up to 20cm high letters. As an added treat, we have also updated our how-to video, which shows Rachael Ironing on some LETTERS and some spare transfers. We hope your love the video, and would leave to hear what you think. 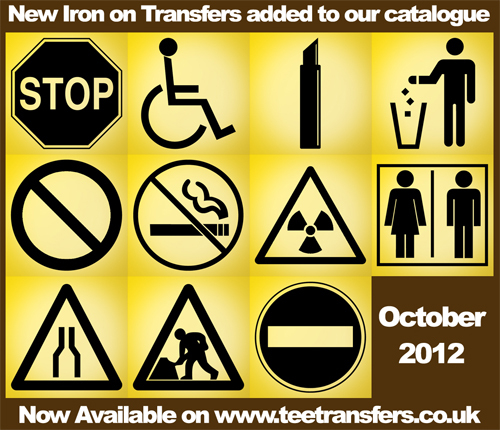 TeeTransfers can be contacted via email, twitter, Google+ and Facebook. If you have a query about an existing or a new Iron on Transfer order, then we would love to hear from you, please see the links below for ways to get in contact.